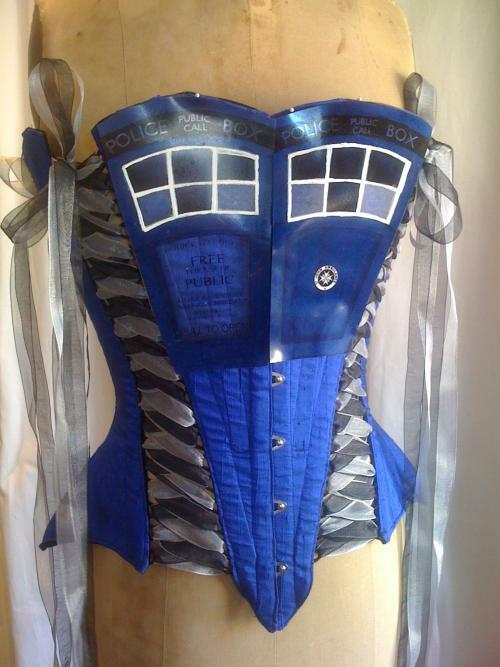 May Faire Moon has posted a TARDIS Corset for all your Doctor Who fantasy role playing, and frankly if I could fit into one I might just consider playing Rocky Horror with a few Doctor Who overtones with this one. So check out their facebook on this one and see the progress of this project, and next time you want to play where is the TARDIS, or do some other Doctor Who role playing in real life, this might just be the thing you want to get. Who knew that role playing could be this much fun in the future.